BIG The Musical Announces New Cast Members! 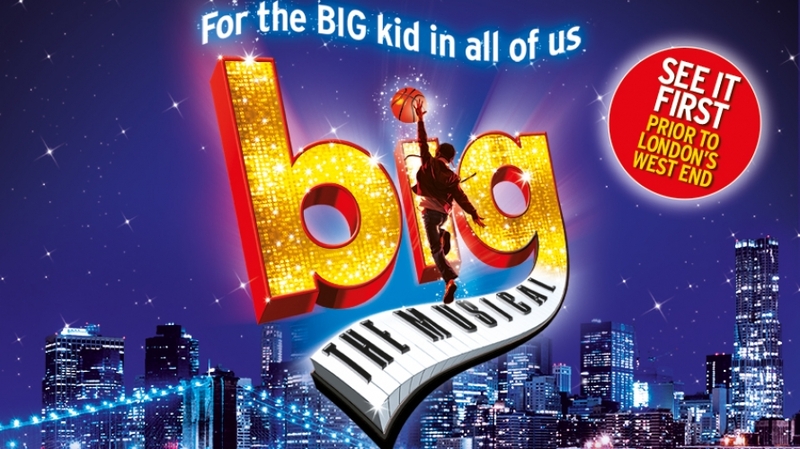 The cast for the European premiere of BIG The Musical has been announced. Leading an all-star cast, Jay McGuiness (The Wanted singer and Strictly Come Dancing champion) is joined by West End stars Denise Van Outen as Mrs Baskin, Diana Vickers as Susan Lawrence, Gary Wilmot as George MacMillan and The Hoosiers frontman Irwin Sparkes as Paul. BIG opens at Theatre Royal Plymouth on 5 November until 12 November before transferring to Bord Gáis Energy Theatre for a Christmas run ahead of its West End opening next year. Featuring songs by David Shire and Richard Maltby. Book by John Wiedman. Direction and choreography by Morgan Young. BIG the show for the big kid in all of us.